Turkey is taking advantage of neighbors’ crises to loot resources from them, and the government’s ‘neo-Ottomanism’ policy has led to the brink of civil war, geopolitical analyst Mahdi Darius Nazemroaya told Sputnik. The Turkish government’s links with Daesh, and looting of oil from Syria and Iraq has been an open secret in the Middle East for years, voiced by Turkish citizens living on the border, the Turkish opposition, and even some US politicians, Mahdi Darius Nazemroaya, sociologist and geopolitical analyst, told Sputnik. Turkish opposition parties and Turkish citizens living on the border have already spoken out about the government’s involvement in stealing oil from Syria, and collaborating with terrorists. Nazemroaya pointed out that the illegal transportation of oil stolen by terrorists does not stop at Turkey’s borders, and involves other members of the western alliance. 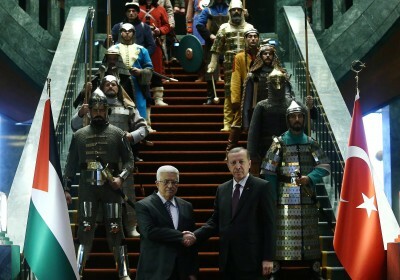 Turkey’s current political difficulties, and bad relations with neighbors such as Syria, Iraq, Iran, Lebanon, Russia, and the European Union is a consequence of its failed policy of “neo-Ottomanism,” which aimed to dominate Arab neighbors, parts of North Africa and southwest Asia, but is now “blowing up in its own face,” and could even lead to inner conflict and civil war, said Nazemroaya.